Is “crimp an aluminium cap on” a naturally-sounding phrase? Fill the vial with nitrogen, then immediately close it with a stopper and crimp an aluminium cap on. The Russian original uses the word "завальцевать", which is basically "to crimp" here, and I want to retain it in the sentence and not just write "cap with an aluminium cap" or something like that. ... and attach an aluminium cap using a crimping instrument. "Crimp" has a specific meaning. It is not equivalent to "capping", "snapping", or "putting". The stopper is what closes the top. The aluminum cap has a different purpose. It keeps the stopper from being removed or tampered with. So the relevant action is not simply putting the cap in place, it is securing it. Crimping involves bending the metal to secure it in place. So replacing "crimp" with a generic term for attachment leaves out important information if your intent is to accurately translate the instruction. Rather than end with a preposition, you could write "crimp on an aluminum cap". I think crimp is natural sounding enough. If I were to read that I would understand the meaning. Largely, this will depend on your audience. If this is a user's manual, you may consider using the verb "fit" or "affix". If this is meant for people who work in manufacturing, I suspect they will understand "crimp". 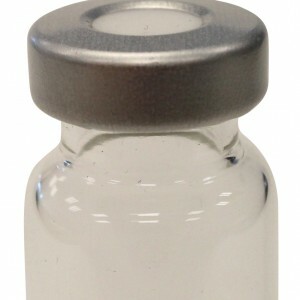 *Note on style: Fill the vial with nitrogen, then immediately close it with a stopper and crimp an aluminium cap on (it). It sounds better to not end a sentence with a preposition. They way you have it is absolutely fine. You're alternative is equally acceptable and sounds slightly more like something you'd see in an instruction manual. Not the answer you're looking for? Browse other questions tagged grammaticality register or ask your own question. Is “Bunch of people” a valid phrase? Does 'we know not what' sound incomplete? his feces eventually looks like shooting stars — why not “his feces will eventually look like shooting stars”? What kind of phrase is it?